Fox Sports has been the bane of endurance fans’ existence for its bizarre channel changes and banishing races to deep-cable channel Fox Sports 2. Now that’s changing. 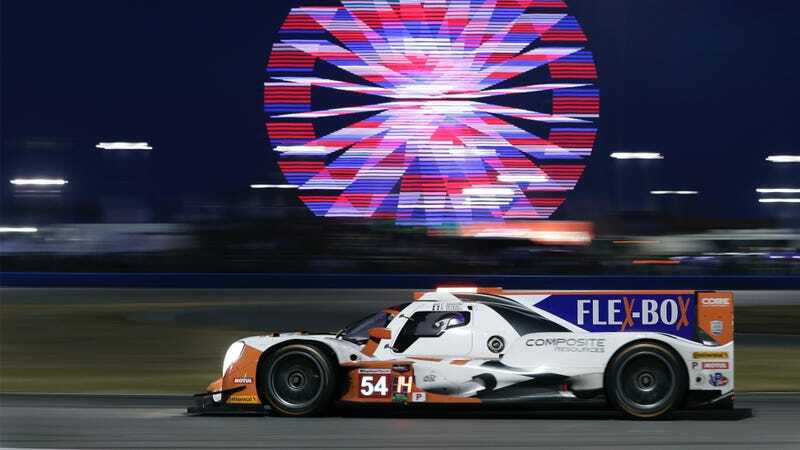 The World Endurance Championship moved from Fox to Velocity this year, and now IMSA announced they’re moving to NBC Sports in 2019. Now you might be able to watch actual endurance racing in America. The deal promises over 100 hours of IMSA coverage across NBC’s assorted digital, broadcast and cable outlets. Three WTSC races will make it onto NBC proper, with over 45 hours of the rest of the WTSC season being shown on NBCSN. IMSA announced that this will be a six-year deal with the NBC Sports Group to broadcast the WeatherTech Sports Car Championship, the series currently known as the Continental Tire Sports Car Challenge (which will change names soon as Conti gets swapped for Michelin as the series tire sponsor) and Prototype Challenge Series. The big perk is that more of the flagship WTSC races should end up on network television, which makes them easier to find for you and me and also easier for those involved with the series to attract the sponsors that keep it afloat. Sponsors still love to see TV viewership numbers despite the fact that cable is a slowly dying medium, and races getting relegated to Fox Sports 2 certainly hasn’t helped in recent years.